What is it: When a simple face wash won't do, this purifying formula does the dirty work, providing a deeper, more thorough cleaning. Like a deep cleanse for skin, this mask removes impurities, pollutants and excess oil from pores without stripping skin. Skin instantly looks healthier, clearer and more refined. Why is it different: A unique blend of Hawaiian Sea Water and mineral-rich Amazonian White Clay work together to help extract toxins and impurities, while reducing the appearance of pore size. Combined with the detoxifying powers of Sea Salt and Sea Water, the powerful clay-based formula helps remove pore-clogging debris and excess oil from skin, while simultaneously nourishing  never over-stripping. To Use: Apply a thin layer on slightly damp skin and allow to dry for 2-5 minutes. Rinse off with warm water. Use once a week or as needed. 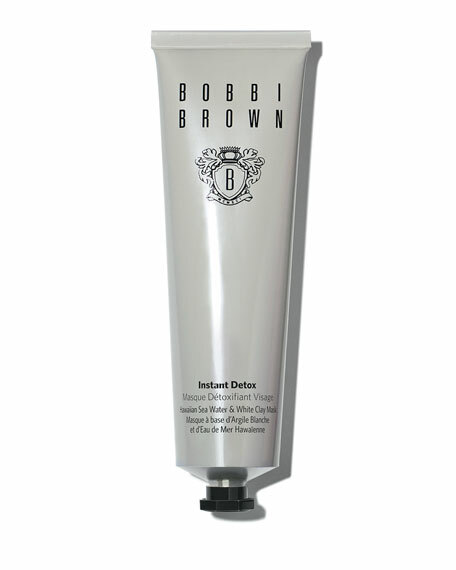 Follow with appropriate Bobbi Brown skincare products.